Bead rings are ultimately a captive ring with the ball firmly attached to one side of the ring. 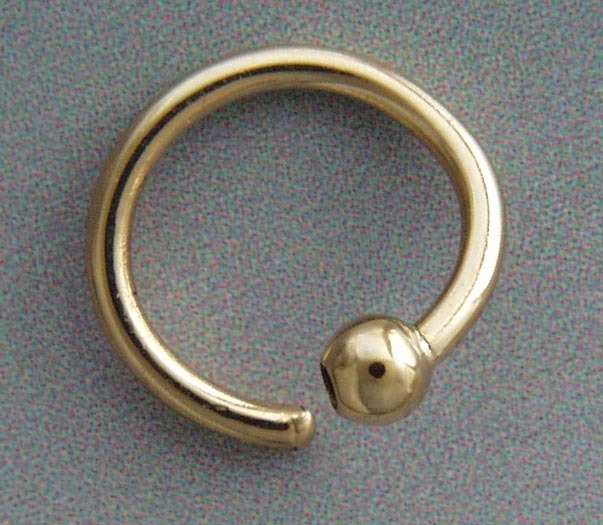 To open a bead ring you pull open gently just enough to release the ball and gently twist to the side just enough to get it through the piercing. To close you twist the ring back until lined up to the little hole in the ball and gently squeeze together till the end of the ring is inside the ball. Because of the twisting motion bead rings are only made in the smaller gauges. This also prevents the small balls from being lost. Works great for eyebrow, nostril, and lip piercings.